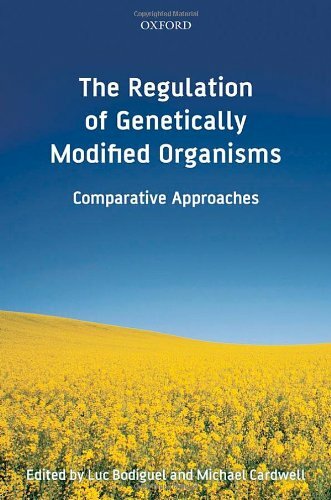 The regulation of genetically modified organisms (GMOs) continues to generate controversy. On the one hand, they are actively promoted by the biotechnology industry as vital to ensuring food security. Yet, on the other hand, consumer resistance persists, not least in the European Union, and such lack of confidence extends not just to GM food itself but also to the regulatory regime, where legal issues are inextricably linked with economics and politics. This edited collection provides a novel contribution to the ongoing debate, recognizing that the legislative environment is complicated by forces as varied as national public opinion and world trade commitments. The book is divided into four parts. The first of these addresses the influence in this context of both civil society and economic imperatives. The second part is directed more specifically to the measures that have been implemented in the European Union, considering multi-level governance, wider aspects of food law, co-existence with conventional and organic crops, and environmental liability. The third part is comparative in focus, with chapters covering the diverse regimes implemented in Africa, Australia, North America and South America. The book concludes with chapters on world trade and international considerations, including analysis of the Biotech case.